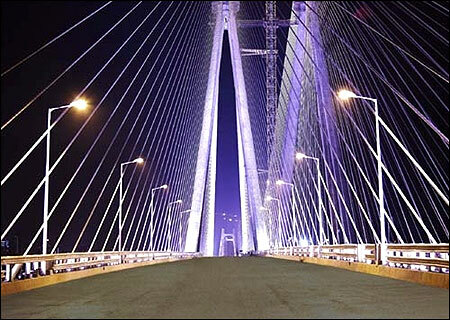 India has seen rapid progress in various big-budget infrastructure projects. Three Indian projects -- Indira Gandhi International (IGI) Airport, KG-D6 and Mundra power project -- were recently featured in the KPMG's list of world's 100 most interesting infrastructure projects. 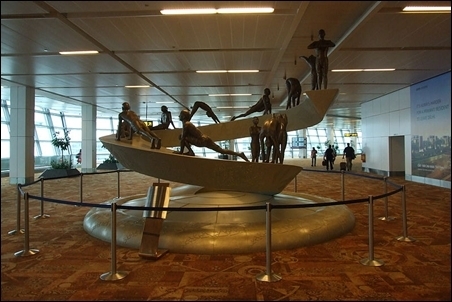 Image: Sculpture at T3 terminal depicting twelve asana's of the Surya Namaskar. It is the busiest airport in India in terms of daily flight traffic. With the commencement of operations at the new Terminal 3, Delhi's Indira Gandhi International Airport has become India's most important aviation hub, with a current capacity of handling more than 46 million passengers and aimed at handling more than 100 million passengers by 2030. Image: Indira Gandhi International Airport. 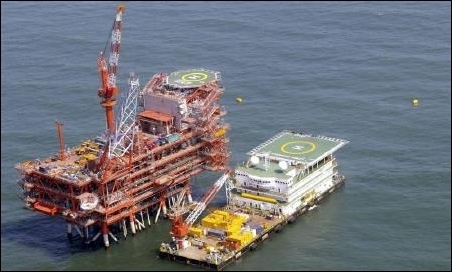 KG-D6 is India's first deepwater gas field in the Bay of Bengal. Reliance Industries' KG-D6 Gas project, for had an initial capacity of 2.8 billion cubic feet of gas per day. The project comprised 22 subsea wells in water up to 3,937 feet deep, with the potential to expand to 50 wells. The production of crude oil from the block's MA field started in September 2008. The 4,000-MW Mundra plant, one of the nine ultra mega-power projects approved by the government. The Adani Power, an ancillary of the Adani Group, is ready to generate 330 MW out of 4620 MW capacity in Mundra power plant. The highway stretches across 555-km from Ahmedabad-Udaipur-Kishangarh. It is estimated to cost nearly Rs 5,400 crore. 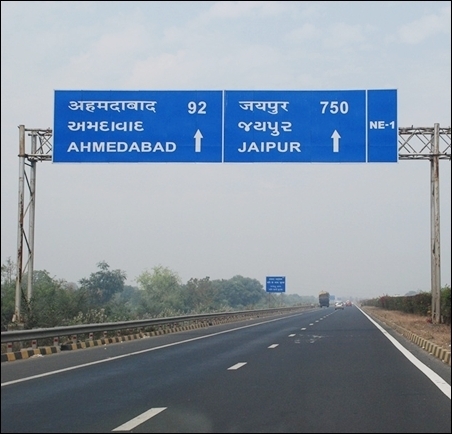 This Kishangarh-Udaipur-Ahmedabad stretch covers NH -79 A, NH-79 , NH-76 and NH-8 , parts of Rajasthan and Gujarat. A part of the Golden Quadrilateral (GQ), it is will be expanded into a six-lane highway. 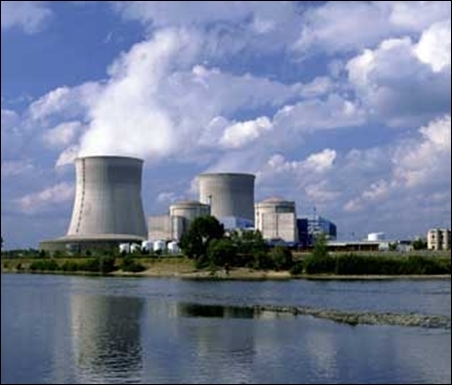 The 9,900-Mw Jaitapur Nuclear Power Plant, when fully commissioned by the Nuclear Power Corporation, is expected to be the largest power plant in India and the largest nuclear power plant in the world. 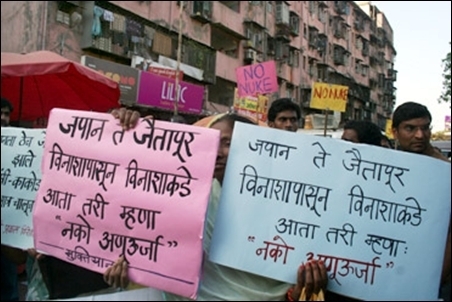 Image: Protest against Jaitapur Nuclear Power Plant. 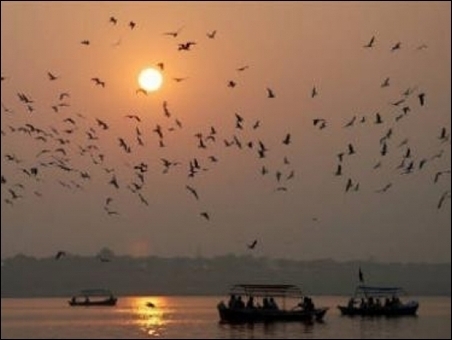 The National River Linking Project (NRLP) was mooted by the Vajpayee government in 2002 to artificially link 14 Himalayan rivers in northern India and 16 peninsular rivers in southern India. By 2016, India will have the highest railway bridge in the world, over river Chenab, 359 meters above the river bed in Katra, Jammu-Kashmir. The 1.3-km-long bridge is a part of the 73-km-long Katra-Dharam section of the Udhampur-Srinagar-Baramulla Rail Link (USBRL) project being executed to provide rail connectivity to the Kashmir valley. 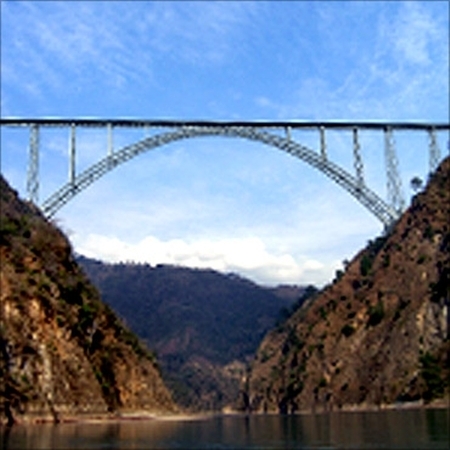 Image: Chenab River Railway Bridge. 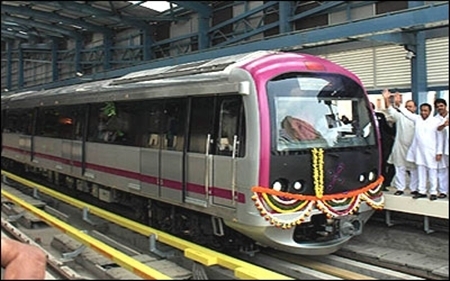 The ambitious Rs 6000 crore (Rs 60 billion) Bangalore Metro project started services in October 2011. The first phase of the metro would run on a 7-kilometre stretch between the MG Road to Byyappanahalli. 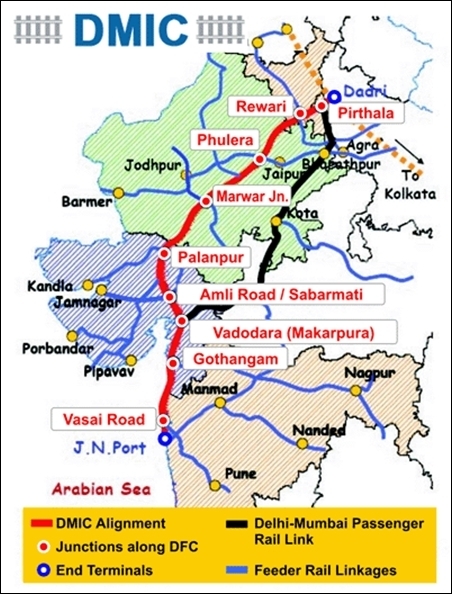 Delhi-Mumbai Industrial Corridor is a mega infrastructure project spread across a length of 1483 kilometres. One of the biggest urban development projects spread across 75,000 acres will take place at Dholera, 110 km south of Ahmedabad. Dholera would be developed by the Delhi-Mumbai Industrial Corridor Development Corporation (DMICDC) as a part of its $90 billion project spread across six states. The DMICDC is implementing $90 billion project spread across Delhi, Haryana, Uttar Pradesh, Madhya Pradesh, Rajasthan and Gujarat. Image: Delhi Mumbai Industrial Corridor map. 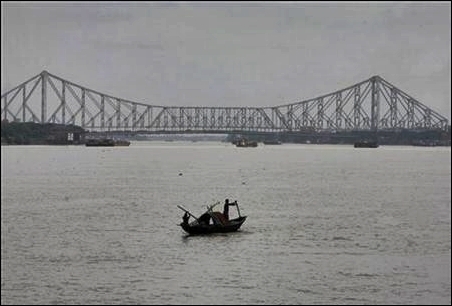 Howrah Bridge in West Bengal is the busiest bridge in India. The construction of the Howrah Bridge started in 1937 and it was opened to traffic in February 1943. The bridge has a central span of 1500 ft between centers of main towers. The project is about the construction of a land-bridge linking Talaimannar in Sri Lanka to Dhanushkhodi in India. It is a four-lane bridge along with a single railway line. In addition to promoting tourism and trade, the project is likely to open significant investment opportunities and provide access to various transhipment sea-ports in Sri Lanka. 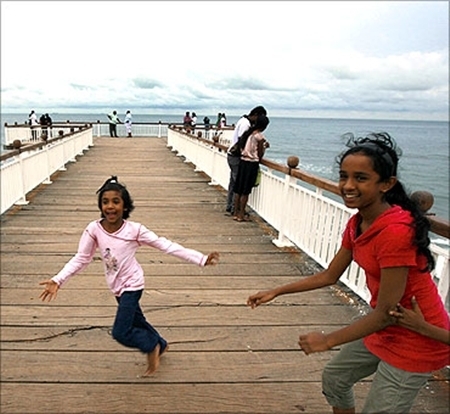 Image: Samudra Setu-India-Sri Lanka Bridge. It is the largest reservoir in India. The dam has a full submergence of 913 sq. km. The dam is proposed to be 92 metres high and 653 metres long. 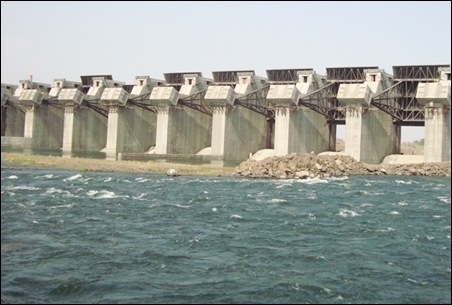 Indira Sagar dam will have an installed capacity of 1000 MW. The total drainage area at the proposed dam site of Indira Sagar project is 61642 sq. km. 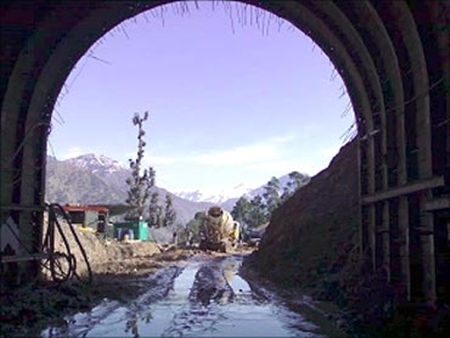 India's longest tunnel stretches across 11 kilometres connecting Qazigund with Banihal is constructed within a year. The Kashmir valley will be connected with the rest of the country by December 2012. The 650 km long canal that starts from the Harike Barrage flows through Punjab, Haryana, and Rajasthan. The construction of Indira Gandhi Canal began in 1958. 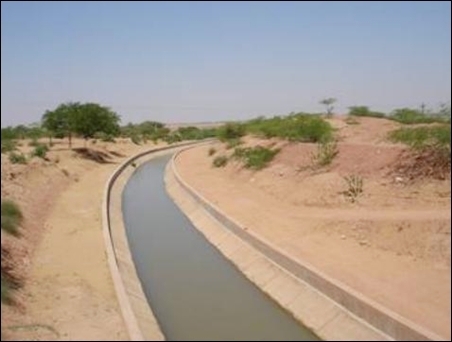 The canal was earlier known as Rajasthan Canal. It is the largest solar project built by Moser Baer. 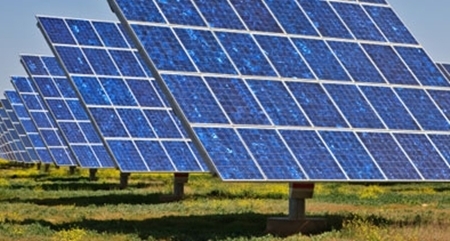 Built at a cost of $95 million, the 30MW PV plant is situated in Banaskantha, in Gujarat. Thin-film panels from First Solar, DuPont and Moser Baer will power the site, which is projected to generate around 52 million kWh of electricity a year. Image: Moser Baer Clean Energy project. NTPC plans to set up the country's largest hydropower plant on the Siang river in Arunachal Pradesh. The 9,500 megawatt (mw) project will require an investment of Rs1 lakh crore spread across a period of 10 years. 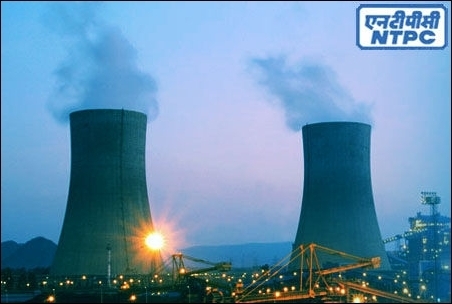 Image: NTPC's largest thermal power plant. The Kochi International Container Transhipment Terminal (ICTT), locally known as the Vallarpadam Terminal is a container trans-shipment facility which is part of the Kochi Port. It is the only trans-shipment port in India. 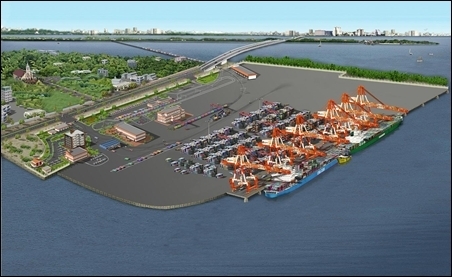 Image: Kochi International Container Transhipment Terminal. 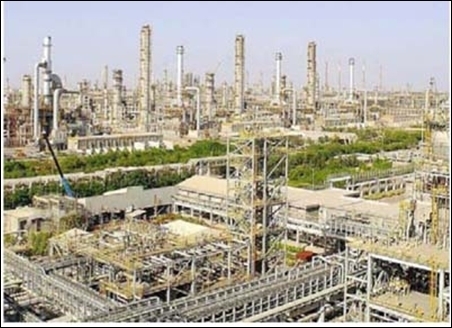 The Jamnagar Refinery is a private sector crude oil refinery owned by Reliance Industries in Jamnagar, Gujarat, India. The refinery was commissioned on 14 July 1999 with an installed capacity of 668,000 barrels per day. It is the largest refinery in the world. An international financial centre provides specialised financial services, attracts high volumes of FDI, creates employment opportunities and improves financial sector sophistication. Mumbai has the best social infrastructure in terms of education, health and work culture, in addition to the availability of high standards of professional services in the area of finance. Mumbai can develop as an international financial centre only if it can provide necessary, cost effective and high quality infrastructure. 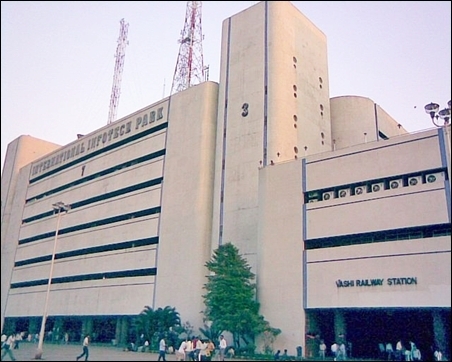 Navi Mumbai is a planned satellite city in Maharashtra. Developed in 1972, it is one of the world's largest planned cities.